The area that is now Gloucester MA was inhabited briefly by European settlers around 1626. The settlement was abandoned, but people returned slowly, and the town was founded as Gloucester in 1642, taking its name from a city in South-West England. Gloucester shares the Cape Ann peninsula with Rockport, and both communities became important fishing ports due to their proximity to Georges Bank. Rockport was set aside from Gloucester and incorporated in 1843. Peg Wesson, the Gloucester witch - An old legend about the Gloucester witch Peg Wesson is often mentioned, but never was it told in such detail as in this story, written by Sarah G. Daley and published in the Boston Evening Transcript, October 14, 1892. It was carried in papers throughout the country. Essex shipyards and the age of the Gloucester schooners - Over 4000 wooden vessels were launched from Essex, including many schooners that sailed from nearby Gloucester, once the largest fishing port in the United States. View below, “Legacy: Shipbuilders, Fishermen and the Age of the Gloucester Schooners” (58 minutes). Gorton’s becomes the largest fishing business on the Atlantic coast, March 31, 1906 - On March 31, 1906, the people of Cape Ann were stunned by the news that Gorton’s would merge with three other Gloucester fish companies. Dogtown, its history and legends - Dogtown is an area in central Gloucester of about five square miles, or 3600 acres, stretching from the Riverdale section of the city, north of Route 128, into Rockport, and including the Goose Cove and the Babson Reservoirs. 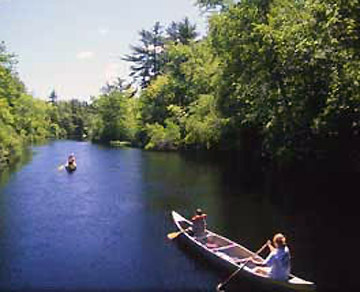 Development is banned in this protected municipal watershed. History of Gloucester, MA - The History of the town and city of Gloucester, Cape Ann, Massachusetts was written by James Pringle in 1892 and is online at Archive.org. The Spectre Leaguers, 1692 - This story of apparitions suggests that the colony was suffering from mass insanity. In the midst of witchcraft accusations in 1692, Gloucester was invaded by a spectral company for a fortnight. Their speech was in an unknown tongue, and bullets passed right through them. The alarm became so great that Major Samuel Appleton of Ipswich sent sixty men on the 18th of July. When the defender's guns had no effect, the soldiers fell to their knees, calling out the name of God. Heaven rang with the howls of the angry fiends, and never again were the Spectral Leaguers seen in Gloucester. Killed by a swordfish, August 19, 1886 - Captain Langsford sailed from Cape Ann in pursuit of swordfish. After spotting one in Ipswich Bay, the fish fish quickly turned thrust sword up through the boat, causing the captain to fall backward. Not yet realizing that he was wounded, he seized the sword and exclaimed, "We got him anyway!"